The HF Correction PCB is a small add-on PCB for the VCO. It basically just helps improve the oscillator's tracking at high frequencies. It is clearly not a very exciting board, but obviously it isn't supposed to be. Two of the connections on the MTA go to different points on the VCO board. The third is ground, which I'll probably just tie to something on the power regulation board. 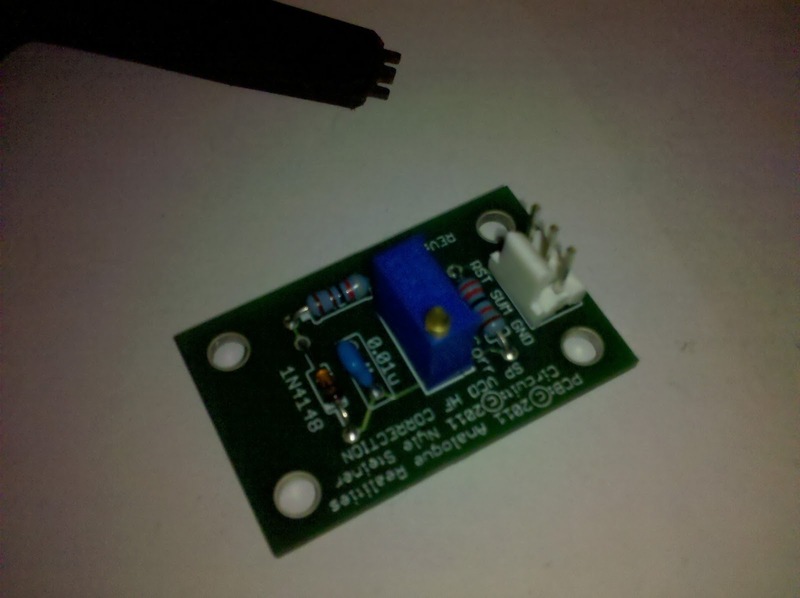 Anyhow, I just ordered panels for the Voltage Follower, Sample & Hold, and Trigger Generator. They should arrive by the end of next week. Hopefully everything is fine for my banana jack conversions! !